Did you know Old McDonald's Farm is along the Columbia River Gorge in Corbett, Oregon? Old McDonald's Farm, Inc. is located on 68-acres with over 30 farm animals, providing a fun place for children to learn first hand about animals, agriculture, gardens and natural resources. Read about Old McDonald's Farm Duck Day Package below. 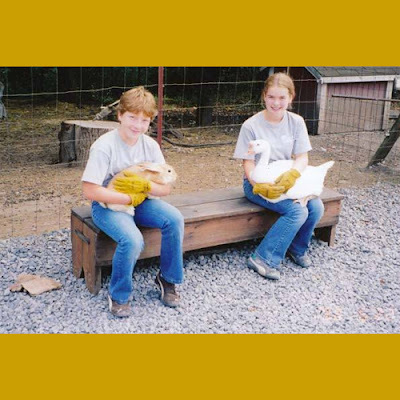 The Duck Day Visit Program package was developed to give young children their first exposure to the farm. This program is designed for preschool children that are 4-5 years of age or really, large groups or folks with time constraints. Great, hands-on opportunities to meet and greet some of our 30+ resident farm animals are available. Learn of different body coverings, colors, sounds the animals make, how they are named, how to act around the farm animals and more. We really pack an awful lot into an hour. Plus, children will enjoy seeing the entire farm site and sitting on an antique tractor. This program is approximately 1 hour in length. To run the Duck Day Visit Program package, the minimum number of students required is 15.